When IntertopsCasino.com launched one of the first online casinos back in 1998, sceptics asked the same thing they’d asked two years before when the pioneering company launched the very first online sportsbook. Those who wondered if anyone would ever trust an online casino with their money underestimated the trust Intertops had already earned and has continued to earn since then. The other priority that has kept IntertopsCasino.com on top the last ten years is its commitment to continually adding the best new games. Thanks to a ten-year partnership with gambling software leader Microgaming, IntertopsCasino.com now provides hundreds of state-of-the-art casino games. The most recently added was the new Lara Croft Tomb Raider slot machine. 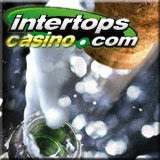 Huge jackpots and unique monthly promotions also keep things interesting for players at IntertopsCasino.com. There is currently almost $8 million in the progressive jackpot pool and the Mega Moolah jackpot alone is over $5 million. And, far more than the usual online casino bonuses, IntertopsCasino promotions – like last month’s All American Road Trip – are entertainment in themselves. Special birthday celebration promotions will continue throughout this milestone year.